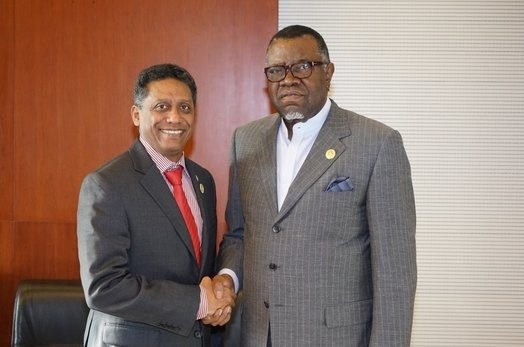 Seychelles leader Danny Faure and Mr Hage Geingob at 28th AU Assembly, Addis Ababa. 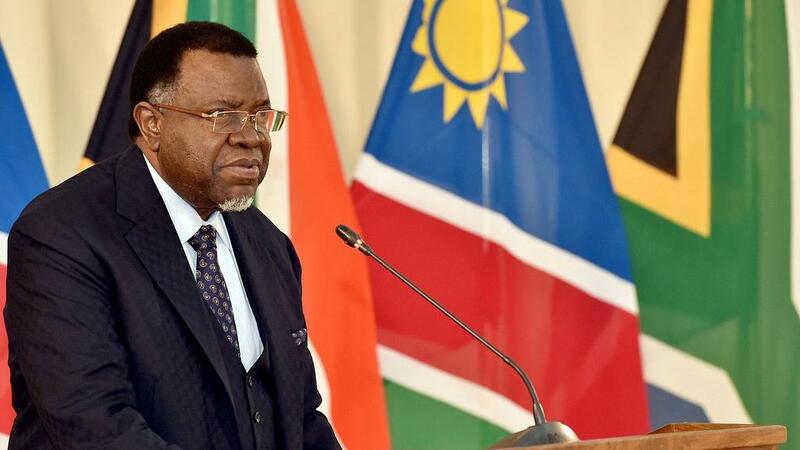 President Danny Faure and Namibia’s Hage Geingob are among foreign leaders that have confirmed participation at Kenya’s inaugural Sustainable Blue Economy Conference set to kick off on November 26. According to the Director General of the conference’s Organising Committee, Ambassador Ben Ogutu, about ten foreign leaders and over fifty ministers have confirmed attendance of the three-day event to be held at the Kenyatta International Convention Center. Leverages the latest innovations, scientific advances and build prosperity. 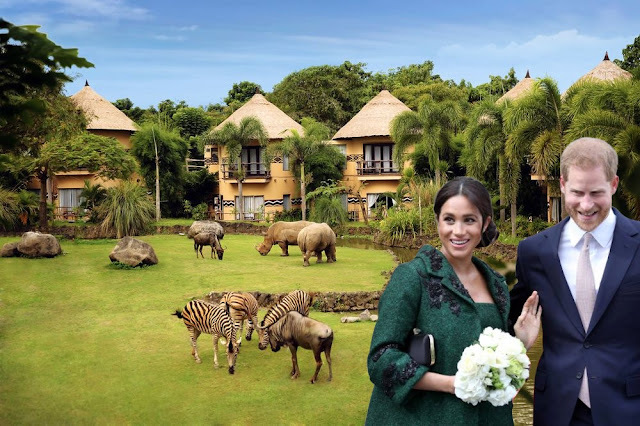 Other leaders that confirmed for their attendance are Uganda’s Yoweri Museveni, Congo’s Sassou Nguesso, Somali’s Mohamed Abdullahi Mohamed, and Fiji’s Prime Minister Frank Bainimarama. “These matters of the blue economy have got to have political goodwill and commitment to drive the process forward. The attendance of these leaders is actually a very strong statement from the leaders,” he said. Ogutu told editors on Thursday that experts and scientists will also be attending the conference which Kenya will be co-hosting with Canada and Japan. “We’ve invited luminaries in terms of speakers and experts including the Under-Secretary-General and Special Envoy for the Oceans on the United Nations, the Secretary-General of the African Ship-owners Association, as well as Professors,” he indicated. Kenya and Canada to ensure the success of the global conference, Blue Economy. Ogutu said a number of side events have been lined up including in the areas of climate and sustainable energy. “One of the side events will be organized by the African Union Commission in conjunction with United Nations Economic Commission for Africa (UNECA). The event will focus on what strategies we have in relation with maritime security,” he pointed out. Mayors and governors of sea facing cities are also expected to attend the Sustainable Blue Economy Conference. Canada and Japan have pledged to fund for the conference to the tune of $2.906,550 million (USD) each, Canada’s support entailing a $1 million (USD) non-monetary contribution. 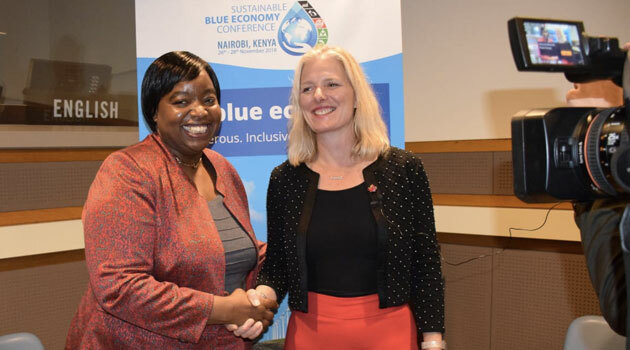 Kenya will be seeking new partnerships in harnessing the potential of its blue economy while addressing emerging challenges including the development of a comprehensive response to ocean health during the blue economy conference. The Ministry of Foreign Affairs has in the buildup to the conference engaged in intense lobbying to have countries with which Kenya has diplomatic ties with send delegations. Foreign Affairs Principal Secretary Amb Macharia Kamau recently announced most of the $7.75 million (USD) budget required to host the conference had been raised after Japan joined Canada as a co-host alongside Kenya. South Africa, the United Kingdom, Norway, Portugal and Fiji have enlisted their support for the conference as co-sponsors. “The biggest opportunity that can arise is the partnerships that will be built between business-to-business, the partnerships that will be built between government-to-government to enjoin themselves onto this challenge of maximizing the opportunities of the blue economy,” Amb Kamau indicated in an earlier interview. Aya Chebbi is a Tunisian Pan African activist that radicalize African youth for Agenda 2063. Tunisian activist, Aya Chebbi was on Thursday appointed the first ever African Union (AU) Youth Envoy, a position created to mobilize young people across the continent towards the pursuit of Agenda 2063. Tunisian Pan African Feminist and activist Aya Chebbi. 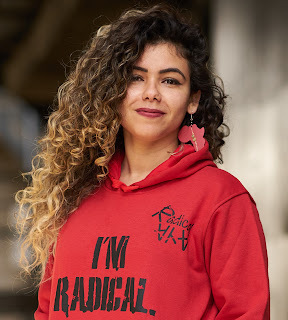 Aya Chebbi, she is a 31 years old an award-winning Pan-African feminist with a radical note and her mission is to bridge Northern Africa (Maghreb) with Southern Sahara. She is the first African Union Youth Envoy to the African Union Commission and the youngest in the Chairperson’s Cabinet. She is the founder of multiple platforms such as the Youth Programme of Holistic Empowerment Mentoring (Y-PHEM) coaching the next generation to be agents for positive change. 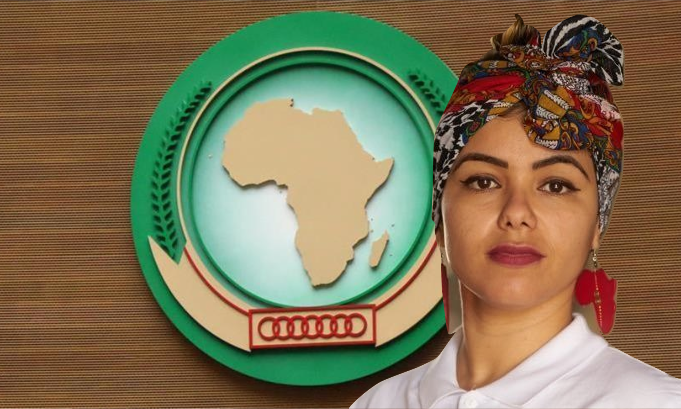 Chebbi, a Pan-African feminist from Tunisia, who shot to global fame as a blogger during the 2010 Arab Spring in her country, will work with a Youth Advisory Council comprised of members from across the continent. ‘‘She will advocate, and raise awareness on, the implementation of the Demographic Dividend Roadmap,’‘ reads part of the AU statement on her appointment. The African Union Demographic Dividend Roadmap is a continental policy which carving for investment in Africa and supports the young people in the areas of employment and entrepreneurship, education and skills development, health and wellbeing, and rights, governance and youth empowerment. There is a common sentiment that Africa is not creating enough jobs opportunities for the young generations, which led so many African graduates flocking to Western countries even by risking themselves on boat journey through Mediterranean sea, where may have perished. The AU statement adds that Chebbi will be advised by the Youth Advisory Council that has members hailed from Tanzania, Benin, Republic of Congo, South Africa, Mauritania, Uganda, Senegal, Chad, Namibia and Mozambique, and others. About Aya Chebbi: Chebbi holds a degree in International Relations from the Higher Institute of Human Sciences of Tunis and a Master’s degree in African Politics from the School of Oriental and African Studies at the University of London, where she was a Mo Ibrahim Scholar. Chebbi has crisscrossed the African continent speaking about the youth-led peaceful political revolutions that started in her country, she has supported, trained and worked with thousands of social movement leaders, feminist groups, and youth activists on mobilization, leadership, and non-violence. Aya previously worked at the refugee camps during Libya’s war, at Bureau de Cooperation Tunisie-Denmark of the Danish Foreign Affairs Ministry on bilateral cooperation in Tunis. She also monitored the 2012 Egyptian Presidential Elections, in Tanta. She has been widely speaking about social movements worldwide for conferences and rallies in the United States, Brazil, Germany, Turkey, Cyprus, Kenya, Rwanda, and South Africa among others. Mechanization of African agriculture can drive rural employment and stem migration. Agricultural mechanisation in Africa can raise productivity and make rural employment more attractive, thus ensuring the continent’s future growth and poverty alleviation, experts say. The experts, in a report launched in Malalawi in 10 July 2018, examined seven countries — Ethiopia, Mali, Malawi, Morocco, Rwanda, Tanzania, Zambia and others — that are at the forefront of mechanisation and how their successes could be replicated across Africa. The report was published by the Malabo Montpellier Panel, a group of 17 African and international agricultural experts. “Africa is the region with the least mechanised agricultural system in the world,” says the report. “African farmers have ten times fewer mechanised tools per farm area than farmers in other developing regions. According to the report, the seven countries selected for the case studies had average annual agricultural machinery growth rates ranging from 2.73 to 3.12 whereas that of their average annual agricultural output rates ranged from four to 8.5 between 2005 and 2014. 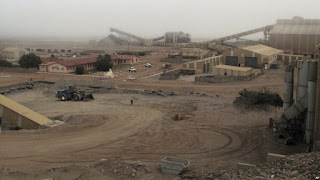 The success stories include the Moroccan government that have a department of agronomy and agricultural machinery that designs and develop machines and tools for use by Moroccan farmers while Rwanda has, among others, village mechanisation service centres operated by the government. Noble Banadda, a member of the panel and chair of the Department of Agricultural and Biosystems Engineering at Uganda’s Makerere University, told the media that more than 70 per cent of the young population in Africa live on less than US$2 a day as they struggle with high unemployment. Nuhu Hatibu, regional operations head for Tanzania, Rwanda and Uganda at the Alliance for a Green Revolution in Africa, says it is high time Africa mechanised agriculture as a pathway for alleviating poverty. The continent, Hatibu says, needs to adapt already existing technologies such as small engines that are affordable, and can be operated with solar energy and make them affordable, and usable by smallholders instead of going for the expensive technologies. “Planners do not need to be paralysed by past failures and they should go for licenses to support adaptation, build local capacity and mechanise the entire agricultural value chain including value addition to agricultural products,” he says. This special report was published by the Malabo Montpellier Panel, a group of 17 African and international agricultural experts, who seeks to provide actionable recommendations for African policymakers on agricultural mechanisation.